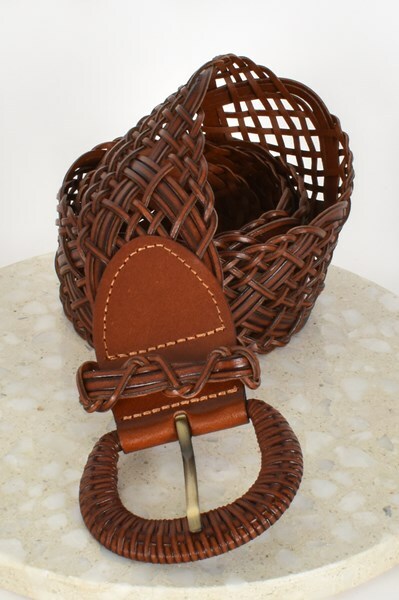 Add some shape to your waist with our Rodeo Drive Woven Leather Belt! Pair with a white linen dress & tan sandals for an effortlessly Boho Luxe vibe! Gold Plated Metal, Woven Leather.